Recently I was able to obstruct New Jersey Devils forward David Clarkson long enough to ask him about a few things off of the ice — like his favorite team growing up, best vacation and his memories of his first NHL goal. Clarkson (6’1”, 200 lbs.) is a 24-year-old from Toronto, Ontario, who was not drafted and signed by New Jersey as a free agent in August of 2005, a move that looks brilliant now. He played in seven games with the Devils in 2006-07, tallying four points (3g-1a) and six penalty minutes and then appeared in three playoff games that spring; the following season he played in 81 of New Jersey’s 82 games. In his young career, the feisty Clarkson has skated in 101 NHL games, scoring 30 points (15g-15a) to go along with 222 penalty minutes and has provided a physical aspect that can get the team going on any given shift – whether it is throwing a big body check or dropping the gloves to settle some differences. Dan Rice: What is your pre-game routine? David Clarkson: Yeah, hockey players are pretty superstitious with a lot of the things we do. I do the same thing everyday – I go eat, I go home and nap at the same time; wake up and do my regular stuff that I do every game day. DR: Who is your roommate on the road and how are they? DC: Really good actually, I room with Mike Rupp. He’s been an unbelievable roommate to me and we’ve become really close, (we’re) a lot alike. You have fun with the guys you room with. DR: Are you a big music fan? DC: Not too much, I like every kind of music. There’s not really too much I don’t like, but I do like music, yeah. DR: What was the last job you had before playing hockey? DC: I worked at a food terminal when I was 14 or 15 years old. My dad told me I had to work to see the way the real world is; I was playing junior hockey and went to work in the summer. I started at four in the morning and got out of there by about two in the afternoon. It was a real eye-opener, seeing how my dad had to work two jobs growing up, and just seeing what he had to do. I said to myself I better start working hard here (at hockey) if I want to do anything. It’s pretty hard waking up that early. DR: Best vacation you’ve ever been on? DC: I went to Greece two years ago and it was just breathtaking looking at the views; what a beautiful country. DR: What is your favorite sport (other than hockey)? DC: I’d have to say golf; I’m a big fan of golf. I’m not the best player, but I enjoy it. DR: Have you met any celebrities because you are in the NHL? DC: Yeah you meet the odd people, but for me just meeting hockey players who you used to look up to like Wendel Clark and Doug Gilmour this summer, getting to hang out with those guys, to me, means more than anything — getting a chance to meet those guys who were your idols when you were a kid; that was pretty big to me. DR: They both played for the Toronto Maple Leafs, was that your favorite team growing up? DC: Yeah, I grew up in Toronto; that was everything to us growing up there, so I was a big Toronto fan. DR: What do you remember about your first NHL goal? DC: It was two years ago in Carolina (March 17, 2007), I remember Zach Parise passed the puck to me and, to be honest with you I was trying to go top corner and I fanned on it, and it went along the ice and rolled in (laughing). So it wasn’t the prettiest goal, but just to get the opportunity to be here — I never thought I’d ever make it here; I dreamed of it, but to get to be here and to score a goal was big. DC: Yeah I do, I have the puck at home and I’ll never forget that (moment). DC: I don’t know, I’m pretty close with a lot of the guys in this room, so I can’t really give you a certain guy. I played with Mike Richards, who’s in Philly, (David & Mike won the 2003 OHL championship with Kitchener); he’s a guy I was really close with. I hope everyone enjoyed learning more about David Clarkson and if there is a player you’d like to read about in a future column or have a question you want asked, let me know. Dan Rice covers the New Jersey Devils & NHL for NYCSportsnetwork.com & contributes to MaxHockey.com as well as IslesNation.com. 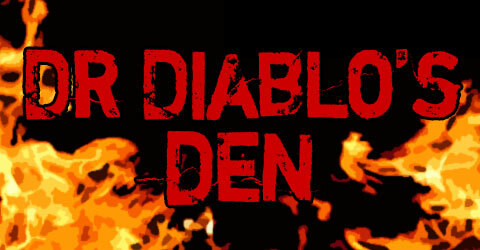 He can be reached at drdiablo321@yahoo.com.